When the Chester Group took over the guardianship of this long established event, those same concerns naturally raised their heads. So we focussed on the things that mattered most, keeping those people head of the team who had played such a key role during recent years; maintaining the back room team, and keeping in place those services that had set out Montreal as one of the most enjoyable of our International shows. The Hotel remained the same, the dates and all the unique features that everyone had come to expect, but then we added just a sprinkle of the magic that we have been able to bring to all our shows and ensure that this great show reached a broader, more diverse and above all else a younger age group. That meant the only major change, and by thoroughly analysing previous marketing we set about deleting expensive under-performing Media and introducing a more intimate and measured approach. And rather than rush out with our own post show evaluation, we also let the press make up their own mind whether or not they felt our strategy had been right, and from what weâ€™ve read to date, they certainly do. Yes attendance rose against 2013 by 3%, but our customers around the world know us too well that maximising footfall is and never has been our primary focus. â€˜Noâ€™ what we want and have always wanted is quality rather than quantity, so we would prefer to let our shows speak for themselves. Female attendees: 17.1% of total attendance. Under 50 attendees: 58.4% of total attendance. This is â€˜exactlyâ€™ what our industry needs and we were delighted to deliver. 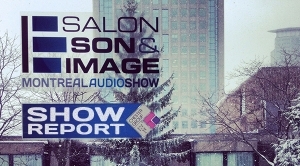 So the Montreal Audio Show will be back next year, same weekend, same venue, but with an even greater sprinkling of the â€˜Chester Groupâ€™ magic and yes a substantial increase in associated attractions, because the â€˜HILTON BONAVENTUREâ€™ still has untapped scope which in turn we are sure will further grow this highly respected event and excite and even greater attendance. 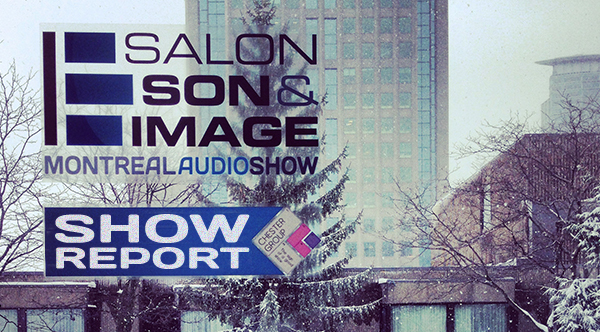 Many thanks to all those Exhibitors who played and have played such a significant role in ensuring the continued success of the Montreal Audio Show ( Salon Son & Image ).